From Versailles take 421S to L. on Co Rd 700S. Property on right. Nice ranch home on 12 level acres w/road frontage on 2 roads! Home offers open concept, stone fireplace, skylights, possible 4th BR, Master BR w/double sinks, garden tub & walk-in closet. New metal roof, Anderson windows & siding in 2014. 24x24 detached garage w/concrete floor & electric. Small pond. 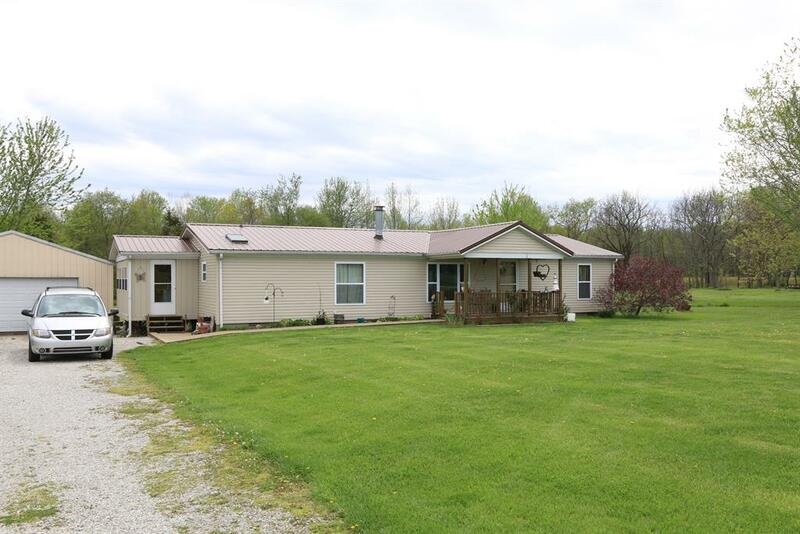 Approx 7 tillable acres & 3 wooded. NOTE: This property was sold on 5/17/2017 and is no longer available. The details listed below are believed accurate to the date of the sale and are subject to change.